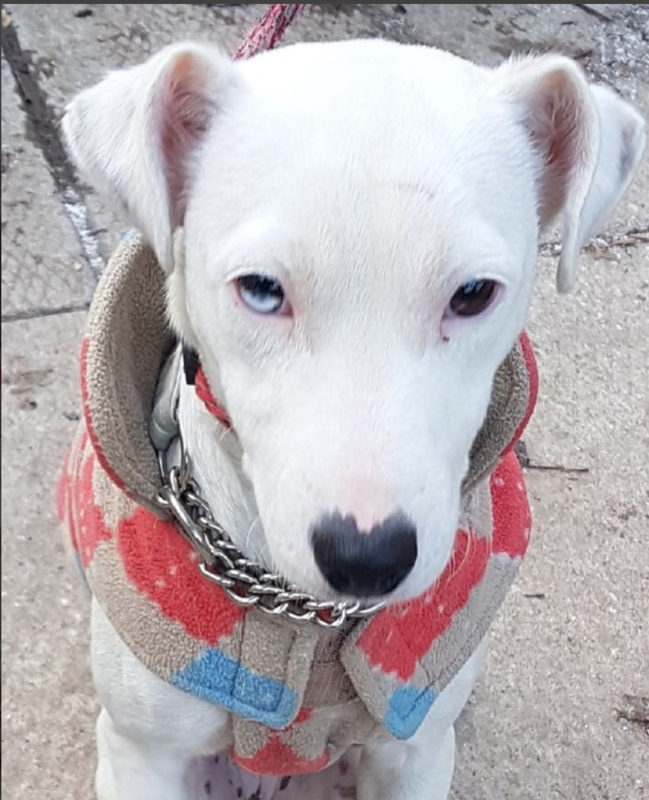 Fidget is a 10-month-old pure white Jack Russell. She survived Hurricane Harvey outside and was found wandering a road where a man was kicking her. A good Samaritan stepped in and scooped of Fidget. It was found that like many white dogs, Fidget was born without the ability to hear. This hyper-intelligent dog aims to impress. She loves playing with her big foster brothers, is OK with cats, and lives to chew on bones. She is very playful. She has a unique trait called partial heterochromia, that makes one of her eyes half blue. This does not impact her vision in any way.